Soft terrycloth velour. Lenght 160 cm, width 105 cm. 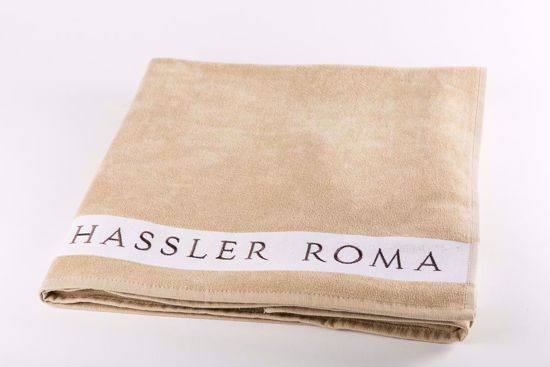 White stripe with logo Hassler in black.